European passengers can expect a day of disruption on 4th September when security guards at Amsterdam’s Schiphol Airport are due to stage a 24-hour strike. Two main unions, FNV and CNV have confirmed the action will take place as staff seek better pay and conditions. FNV said it expected that a large majority of the approximately 4,500 security guards at Europe’s third-largest airport will strike. “Almost all the guards joined in on the shorter work stoppages and there is a great willingness to take actions further,” a union spokesperson told the media. Over recent weeks security officers at the Amsterdam airport have held a number of shorter strikes and work stoppages, most of which have caused longer queues and wait times at security checkpoints, yet its not believed any flights were delayed or cancelled because of the industrial action. The unions advise that the strike action will also affect other locations within the Netherlands, however those location have not yet been disclosed. Hospitals, government buildings and universities are just some of the other places that may be affected by the walkout. The unions are campaigning for a three percent pay rises as well as more time off between working shifts for the security guards. Employers however have only said they will make a pay rise in 2019. 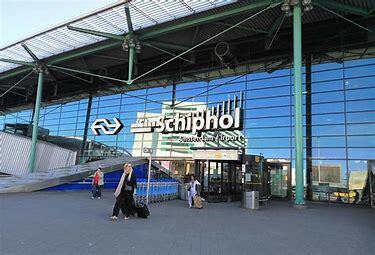 Officials at Schiphol urged employers and unions to continue negotiations and said it was still to early to say how many people would be disrupted by the strike action.